Having joined Jen & the team in October 2016, Tamara has quickly become an invaluable element here at Jen Taylor Properties. 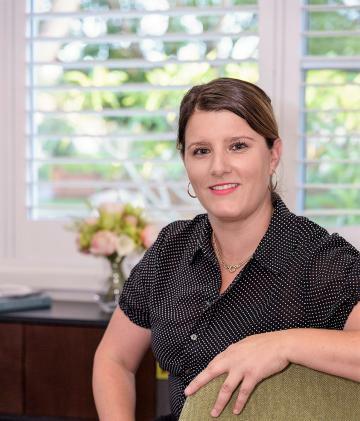 Over the past 15 years, Real Estate has been a huge part of Tamaras life with her excelling in various roles within the industry - anyone who meets her can clearly see people are her passion, with property a very close second. After a few short years away to devote time to having a family, Tamara has returned to the industry she loves and is excited to add her knowledge and experience into the JTP Property Management department. Tamara is outgoing, very approachable, highly efficient, tech savvy and always striving to not only meet but exceed clients expectations, just some of the sought after qualities you want in a Property Manager. Working alongside Ashlee Burton, they combine to form a diverse and formidable Property Management team that offers more experience, more knowledge & more service to our clients. Because you deserve more. For honesty, integrity and dedication from the people looking after your valued investment, call our team today! Gorgeous Duplex Unit - Quiet Location & Easy Care! These fresh modern duplex unit offers a lovely quiet location and affordability! Secure today - this unit will appeal to those looking for easy care & privacy. This fully furnished East Toowoomba beauty with its versatile layout definitely needs to be added to your list for your new family home. It can be suited to so many different tenanted scenarios and the prime location to all amenities is second to none. With yard maintenance included it will definately free up your weekends and schedule to enjoy the finer things in life. Convenient and well located to all your needs yet has the quiet lifestyle of acreage living! Very family friendly layout with space for everyone to spread out. If you require a lifestyle like this, don't miss out! Spacious and immaculately presented family home! Located in Middle Ridge, close to shops and parkland this spacious home is a must to inspect! What a Package - Charm, location & space! Situated in a prime position and offering convenience plus quiet all in one! This character filled 3 bedroom home offers so much for you and your family....your own little slice of paradise. Neat & Tidy. Great Location. Pets Considered. This home is positioned in a quiet street with established gardens and walking distance to southtown shops, private & state schools & close to public transport. Lovely brick home set in a Cul-de-Sac overlooking Ballin Park, this 3 bedroom home is neat, clean & fresh! This modern townhouse in a complex of 5 is private, has all of the features you would expect from a new Millenium built property. Centenary Heights Charmer - Private, Secure & 4 large bedrooms! Bigger than you think & located on a large 850m2 block. Conveniently located within walking distance to Southtown Shopping Centre, St Thomas More's Catholic Primary School and in the sought after Centenary Heights State High School Catchment Area!! Neat Unit - Convenient Location - Affordable! You will want to inspect this lovely unit located within walking distance of Southtown Shopping Centre. Stylish brick 2 bedroom unit, set in a private complex & close to all major amenities. Gorgeous Duplex Unit - Prime Location - Yard Care Included! An exciting opportunity for a stylish unit, offering the best of both worlds. The unit is within a close proximity to schools, shopping, restaurants & airports. Privacy & a fuss free lifestyle is guaranteed.